The world’s indeed a changing place – Brexit, Trump, Hanson, Bernardi – it’s the rise of global populism and, in a lot of ways, negativity and ever-optimistic marketers may need to change their traditional marketing ways. 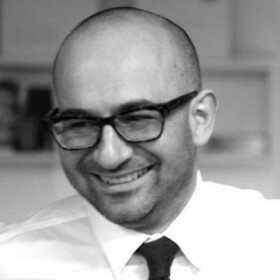 That’s the view Erminio Putignano (pictured below), the co-founder of Melbourne brand consultancy PUSH Collective, who’s warned marketers it might be time to chuck-in their traditional rosy view of the consumer world. Putignano argued the world is changing and marketers, generally speaking, haven’t picked-up on, or are “in denial” to a lot of what’s going on around them. “If you take other industries – say politics, sociology, defence, economics, you name it – they’re talking about these things,” Putignano told B&T. “But when it comes to the worlds of business and marketing there are no interesting conversations going on. I think people in marketing tend to be very optimistic, they have this ‘rose-tinted glasses’ view of the world, that everything will be good and everything will get better, and that means that marketers don’t often see dangers in the issues that are happening in front of our eyes. “Marketers tend to be obsessed with the things that are going against the scale of what is actually happening. Marketers tend to be very insular and often the feeling is that marketers are missing the bigger picture, the strategic and cultural implications of what changes are happening,” he said. For Putignano, the problem for many in the industry is that they get bogged down in the details – how to optimise, the customer experience, the tactics – however, when there’s a big cultural shift (as we’re witnessing now) they’re often incapable of changing a brand’s conversation in their favour. So what are Putignano’s tips for marketers to help them adapt to this brave and somewhat scary “new world”? “There’s not short-cuts,” he said. “I’d love to give you a series of tips that solve everything but no one has them. What really matters is having a sense of awareness that brands need to be created and managed in this new cultural context that is unfamiliar. Another problem, Putignano believes, is we’re all becoming more distrustful; not just of brands but lots of traditional pillars – government, media, the corporate world, etc. And that’s a huge problem when marketing itself is based on trust, he said. And he believed it was the global brands that would be in most strife: “There’s a lot of mistrust in the world at the moment if you think Brexit and the Trans Pacific Partnership, they’re global problems that will impact on global brands. “Twenty years ago multinationals were held up as the best way a business could be run and you only need look at the (current) investment from these multinationals to know that it’s contracting. Not only that, multinationals aren’t performing as well as they did, they’re starting to get beaten by local competitors. So they’re under threat and on the retreat and they’re losing their appeal that they once had,” Putignano concluded.